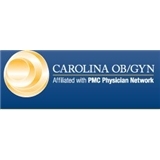 Piedmont Carolina OB GYN (Rock Hill) - Book Appointment Online! The physicians and staff of Carolina OB/GYN are dedicated to the health and wellness of women in York County and surrounding communities. Our board-certified physicians combine years of clinical obstetric and gynecologic training, expertise in advanced minimally invasive surgical technologies and a compassionate, personalized approach to patient care. We offer patient-centered, leading-edge women’s services for a comprehensive range of health conditions. From routine exams, prenatal and infertility options, incontinence and pelvic prolapse treatments to minimally invasive surgical procedures and advanced imaging capabilities, you can feel confident Carolina OB/GYN provides the high-quality care to meet your health needs - at every stage in life. At Carolina OB/GYN, our patients are at the center of everything we do. (some appointments require prior medical history - please call). Very clear and professional. Makes you feel really comfortable. Always great! He takes great care of me!! She was very easy going. She made you feel comfortable and was very welcoming and down to Earth. Awesome support team as well. Speedy check up!! !